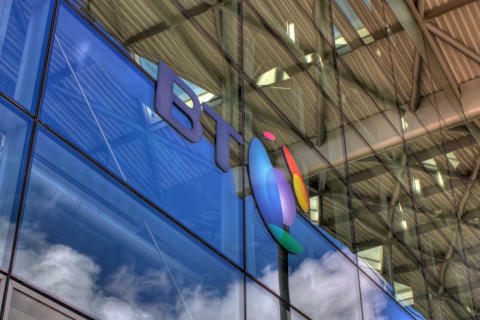 “This has been a challenging year for BT. We’ve faced headwinds in the UK public sector and international corporate markets and must learn from what we found in our Italian business. Openreach also received a fine from Ofcom after an investigation into historical Deemed Consent practices revealed it fell short of the high standards we expect. We take these issues extremely seriously and are putting in place new measures, controls and people to prevent them happening again. Learning from the challenges of this year will make BT a stronger company for the future. “However, we’ve also made good progress in a number of areas. Our integration of EE is going well, our UK consumer, SME and corporate businesses are performing strongly, and we’ve made significant progress in improving customer experience across the group. Our agreement with Ofcom on Openreach governance brings to an end a period of uncertainty. And securing exclusive rights to top-flight European football until 2021 puts our consumer businesses in a strong position. “We’ve undertaken a strategic review of Global Services. Technology trends mean that we are now less dependent on owning physical local network assets around the world, creating the opportunity to reposition Global Services as a more focused digital business. We are therefore restructuring our Global Services organisation to enable this strategic refocusing. “We’re also accelerating and expanding our cost transformation programmes, most significantly in our central Group Functions, in Technology, Service and Operations, as well as in several other lines of business. This will help offset market and regulatory pressures and create the capacity for future investment. In January we revised our outlook as a result of the pressures in the UK public sector and international corporate markets and the outcome of the investigation into our Italian business. 5 Certain prior year results have been revised to reflect the outcome of the investigation into our Italian business. 1. Our commentary focuses on the trading results on an adjusted basis, which is a non-GAAP measure, being before specific items. Unless otherwise stated, revenue, operating costs, earnings before interest, tax, depreciation and amortisation (EBITDA), operating profit, profit before tax, net finance expense, earnings per share (EPS) and normalised free cash flow are measured before specific items.This is consistent with the way that financial performance is measured by management and reported to the Board and the Operating Committee and assists in providing a meaningful analysis of the trading results of the group. The directors believe that presentation of the group’s results in this way is relevant to the understanding of the group’s financial performance as specific items are those that in management’s judgement need to be disclosed by virtue of their size, nature or incidence. In determining whether an event or transaction is specific, management considers quantitative as well as qualitative factors such as the frequency or predictability of occurrence. Specific items may not be comparable with similarly titled measures used by other companies. Reported revenue, reported operating costs, reported operating profit, reported profit before tax, reported net finance expense and reported EPS are the equivalent unadjusted or statutory measures. Reconciliations of reported to adjusted revenue, operating costs, operating profit, profit before tax and EPS are set out in the Group income statement. Reconciliations of underlying revenue excluding transit adjusted for the acquisition of EE, underlying operating costs excluding transit adjusted for the acquisition of EE, EBITDA, underlying EBITDA adjusted for the acquisition of EE, net debt and free cash flow to the nearest measures prepared in accordance with IFRS are provided in the notes to the condensed consolidated financial statements and in the Additional Information. 2. Trends in underlying revenue excluding transit adjusted for the acquisition of EE, underlying operating costs excluding transit adjusted for the acquisition of EE, and underlying EBITDA adjusted for the acquisition of EE are non-GAAP measures which seek to reflect the underlying performance of the group that will contribute to long-term sustainable growth and as such exclude the impact of acquisitions and disposals, foreign exchange movements and any specific items. We exclude transit from the trends as transit traffic is low-margin and is affected by reductions in mobile termination rates. Given the significance of the EE acquisition to the group, in 2016/17 we have calculated underlying revenue excluding transit adjusted for the acquisition of EE, underlying operating costs excluding transit adjusted for the acquisition of EE and underlying EBITDA adjusted for the acquisition of EE (see note 3), as though EE had been part of the group from 1 April 2015.This is different from how we usually adjust for acquisitions, and was the basis for our 2016/17 outlook. Following the integration of EE since acquisition, from 1 April 2017 underlying trends will no longer be adjusted for the acquisition of EE since this is no longer relevant and the 2017/18 outlook has been prepared on this basis. 3. We have prepared and published historical financial information adjusted for the acquisition of EE (previously described as pro forma historical financial information) for the eight quarters ended 31 March 2016 for the group and by line of business under our new organisational structure, to illustrate the results as though EE had been part of the group from 1 April 2014. This historical financial information adjusted for the acquisition of EE shows EE’s historical results adjusted to reflect BT’s accounting policies. In the consolidated group total, we’ve eliminated historical transactions between BT and EE as though they had been intercompany transactions. We’ve not made any adjustments to reflect the allocation of the purchase price for EE. And all deal and acquisition-related costs have been treated as specific items and therefore don’t impact the published information. Note: The comparative information of the current period results has been revised to reflect the outcome of the investigation into our Italian business. These results also include EE which we acquired on 29 January 2016.Unless referred to as underlying adjusted for the acquisition of EE, the comparatives only include EE from the date of acquisition. It’s been a challenging year but there has been good progress in a number of areas. EE is performing strongly and its integration into the group is going well. We’ve made significant improvements in customer experience, and reached agreement with Ofcom on the future governance of Openreach, which brings to a close a period of uncertainty. We’re disappointed with the unacceptable practices we found in our Italian business and Ofcom’s findings that Openreach inappropriately applied Deemed Consent to Ethernet connections. Headwinds in the UK public sector and international corporate markets have been challenging and the low interest rate environment has led to a deterioration in our IAS19 pension deficit. Reported revenue for the year is up 27%, mainly due to the timing of the EE acquisition in the prior year. Our main measure of the group’s revenue trend, underlying revenue1 excluding transit adjusted for the acquisition of EE, was down 0.2% which is in line with our revised outlook of ‘broadly flat’. Reported profit before tax for the year is down 19%. Adjusted2 EBITDA of £7,645m was up 18% in line with our revised outlook of around £7.6bn.Underlying EBITDA1 adjusted for the acquisition of EE was down 2.9% mainly as a result of declines in UK public sector and our investment in improving customer experience. Net cash inflow from operating activities was up £1,023m at £6,174m. Normalised free cash flow3 was £2,782m, c.£300m above our revised outlook due to early customer collections that we will now not receive next year. Improving customer experience remains a top priority and we’ve made significant progress this year. In our consumer facing divisions, Consumer and EE, we’ve added over 2,400 UK and Ireland based contact centre roles this year. As a result, EE has been handling 100% of customer calls in UK and Ireland contact centres since December. Consumer today answers 86% of customer calls in the UK and Ireland, with significant recruitment and training in Q4 increasing this figure from 55% at the start of 2017. We’re also speaking to our customers quicker, with average call waiting times in both Consumer and EE more than halving over the last six months. Looking forward we’ll focus on further improving the time it takes to get through to a contact centre agent and our response to our customers on social media. In Openreach we’ve more than halved the number of missed engineer appointments this quarter year on year, achieved our goal of 95% on-time installations and improved our on-time repair performance across all of our Ofcom Minimum Service Levels (MSLs) by 6%. We’ve also exceeded all 40 of Ofcom’s copper broadband MSLs that were due in the year and we remain ahead on the other 20 which are measured to March 2018. This is the third year in a row that we have exceeded all of the copper MSLs, although we are disappointed to have narrowly missed one of the six Ethernet MSLs. Looking forward, Openreach will be recruiting 1,500 trainee engineers by the end of October 2017 to further improve our service. Across the group overall, we have delivered 1.4m hours training to our people this year. Right First Time4 increased 6.4% this year and we’ve reached ten months continuous improvement in Group Customer Perception score. We’ve passed over 26.5m premises with our superfast fibre broadband network. Our ultrafast broadband deployment plans are on track, with 500,000 premises now passed. We’re now offering to connect Fibre-to-the-premises (FTTP) free of charge to developments of 30 or more homes, as well as continuing our 17 G.fast pilots. Openreach has today announced a consultation for ways in which we could deliver universal broadband coverage, and a consultation that will look at the potential benefits and costs of a large-scale FTTP deployment. Openreach has also announced changes to the way it plans to engage with industry. The UK broadband market1 is now 20.4m, which grew by 82,000 in the quarter, of which our retail share was 29,000 or 35%, taking our retail broadband base to 9.3m.Retail fibre broadband demand continued, with 53% of our retail customers now on fibre.We added 211,000 customers this quarter, taking our retail fibre broadband base to 4.9m.Openreach achieved record 520,000 fibre broadband net connections in the quarter and service providers other than BT accounted for 59%, demonstrating sustained market-wide demand. This brings the number of homes and businesses connected to around 7.7m, 29% of those passed. We’ve also upgraded our Infinity Broadband, offering speeds of up to 76Mbps as standard in Business and Public Sector and up to 52Mbps as standard in Consumer. We’re making progress on our plans to reach 92% 4G geographic coverage by September 2017 and 95% by the end of December 2020. As of today we’ve reached UK geographic coverage of 80% (99% 4G population coverage), the largest of any UK operator. We switched on the first 700 new sites using 800MHz spectrum, improving geographic and in-building coverage. We’re also partnering with Huawei, Nokia and Ericsson to conduct joint research into the development of 5G. Our mobile base stands at 30.0m.We added 192,000 postpaid mobile customers in the quarter, taking the postpaid customer base to 16.9m. The number of prepaid customers reduced by 388,000 in the fourth quarter, in line with industry trends, taking the base to 6.9m. Our 4G customer base reached 18.6m. Monthly mobile ARPU for the quarter was £26.3 for postpaid customers and £4.4 for prepaid customers. During the year EE introduced a ‘more for more’ three-tier pricing structure, offering our customers increased choice and flexibility. For those customers taking a top tier 4GEE Max plan, BT Sport is also included, creating value for our customers from bringing EE into the group. In Consumer, BT Mobile began offering handset contracts to customers as well as launching its Family SIM service, offering families up to five SIMs on one contract, each with individual allowances and with discounts that increase with the number of SIMs. And Plusnet launched Plusnet Mobile. In February, we won an improved set of exclusive rights to the UEFA Champions League and UEFA Europa League until the end of the 2020/21 season. These rights further complement our sporting line-up, which includes top tier football from the Premier League and FA Cup, as well as live rugby, cricket, UFC, and now boxing. We’ve given free access to the BoxNation channel to all BT Sport customers and at least 20 Saturday night events, including World, European, Commonwealth and British title fights, will be shown on BT Sport channels.We’re also pleased to be the first operator to offer Dolby Atmos sound. Our TV customer base continues to grow and during the quarter we added 11,000 new customers, taking our base to 1.7m. BT Sport’s average annual audience figures increased 12% excluding Showcase and digital channels. We’ve also brought our BT Sport content to millions of additional sports fans through a range of digital channels, streaming the BT Sport Showcase channel on YouTube for both the UEFA Champions League and UEFA Europa League finals. Across TV and social media platforms six million people watched each of these finals. We have undertaken a strategic review of Global Services, with the objectives of improving its market and financial performance, its risk profile, and the long term value that it delivers to BT. Global Services is most differentiated with large, multinational customers, who demand high quality, secure communications. Its product portfolio is industry-leading across a range of areas, including networking, security, cloud collaboration and contact centres. Technology trends mean that we are now less dependent on owning physical local network access assets around the world, creating the opportunity to reposition Global Services as a more focused digital business.We will prioritise innovation of cloud based platforms that deliver our products and services, with BT’s global network at the core, to support the digital transformation of our customers.As we implement this strategy, we will ensure that we optimise the value of our global and our local network assets. To enable this strategic repositioning, we are restructuring our Global Services organisation to a simpler operating model. This will involve a two-year restructuring of our operations, the costs of which will be treated as a specific item. Our integration of EE is going well. We’ve achieved around £150m of run-rate cost synergies in our first year, exceeding our target of £100m, as we’ve been able to realise synergies earlier than originally planned. We continue to expect cost synergies to reach a run-rate of around £400m in the fourth year. We’ve delivered savings this year through renegotiating supplier terms and reducing the number of head office employees. We’ve also insourced a number of activities where possible, including all roaming management, EE facilities management and core network engineering field operations. We are also expanding and accelerating areas of our cost transformation programme. We are simplifying our central Group Functions and our internal service unit, Technology, Service & Operations to improve the effectiveness and efficiency of the services and infrastructure delivered to our lines of business. We are also restructuring the Global Services organisation, as described above, and accelerating ongoing transformation programmes in other lines of business. We anticipate that these transformation programmes will save in total around £300m over two years, with a restructuring charge of around £300m over the next two years, with most of this being incurred in 2017/18. This restructuring cost will be treated as a specific item. These changes will clarify accountabilities, remove duplication and improve efficiencies, removing around 4,000 roles mainly from managerial and back office areas. The cost savings will provide headroom to offset market and regulatory pressures and support increased investment in delivering great customer experience and leading networks. In the summer of 2016 we received a whistle-blower report of inappropriate behaviours in our Italian business. We instigated an investigation, which included an independent review by KPMG LLP, with support and oversight from our Legal, Governance & Compliance function and Freshfields Bruckhaus Deringer, reporting directly to both the Chair of the Audit & Risk Committee and BT Group Chairman, and our own comprehensive balance sheet review, which revealed improper accounting practices and a complex set of improper sales, purchase, factoring and leasing transactions in our Italian business. The investigation identified collusion, circumvention and override of controls within our Italian business, that was not identified by our monitoring controls thereby resulting in the misstatement of results going undetected for a number of years. These activities resulted in the overstatement of profits amounting to £268m in our Italian business over a number of years. We concluded that the errors were not individually material to any of the group’s previously issued financial statements; however, we did conclude that the correction of the full £268m in the current year would materially misstate the current year. To avoid this we corrected the errors by revising prior year income statements, balance sheets and cash flow statements. The effect of these revisions is set out in Note 1 to the financial statements. The findings from the investigation in Italy led us to review the carrying value of the assets and liabilities on the balance sheet, taking into account changes in facts or circumstances since 31 March 2016 and whether additional exposures had arisen due to events in the current year. This exercise required a level of judgement, in many cases taking a more cautious view based on our current understanding of circumstances surrounding each item. This exercise concluded that it was appropriate to write-down the value of our balance sheet assets and increase our balance sheet liabilities. The resulting charge of £245m is presented as a specific item in the current year. Changes in facts or circumstance of items arising in the current year have been recorded in Global Services’ current year trading results. The inappropriate behaviour in our Italian business is an extremely serious matter. It has no place in BT and we took immediate steps to improve the financial processes and controls in that business. We suspended a number of BT Italy’s senior management team who have now left the business. The President of our European operations has also left the business. We have appointed a new President of our European operations and a new CEO and CFO of BT Italy, from outside the Italian executive management team, and they are working hard to re-position and restructure the business for the future including implementing improvements to the governance, compliance and control culture and the capabilities of our people in the organisation. To ensure independence, KPMG and our internal investigation team, with support and oversight from the Legal, Governance & Compliance function and Freshfields Bruckhaus Deringer, reporting directly to both the Chair of the Audit & Risk Committee and BT Group Chairman, conducted an investigation of the systems and controls relating to our Italian business. We also conducted a broader review of financial processes, systems and controls across the group. We are acting on both the recommendations of KPMG and our own observations and have taken steps to improve our controls within Italy. We have also taken steps to enhance the wider controls that monitor our overseas operations in our shared service centres, Global Services and at a group level. Beyond Italy we have completed detailed balance sheet reviews in seven selected country operations in Global Services outside of the UK. These thorough reviews were supported by EY. Together with the investigation in Italy these covered around two thirds by asset value of our operations outside the UK, representing 4% of the group's total assets. Our review did not identify any similar issues or areas of concern elsewhere giving us comfort that the inappropriate behaviours were isolated to Italy. This along with other additional substantive assurance activities that we have undertaken enables us to conclude that the financial results and balance sheet position as of 31 March 2017 give a true and fair view of the group. As a result of our US listing we are required to make certain assessments of our controls as of 31 March 2017 for the purposes of the US Sarbanes-Oxley Act 2002 (“Sarbanes-Oxley”). Despite the remediation steps we took, the controls had not operated for sufficient time to allow assurance testing to confirm their effectiveness under Sarbanes-Oxley. We have therefore concluded for these purposes that our controls were ineffective as of 31 March 2017 due to a material weakness with regards to our Italian business. As announced separately today, the BT Group Remuneration Committee has also considered the wider implications of the BT Italy investigation. While we have taken steps to improve our control environment, we recognise we have more to do. We will continue to take steps to improve further our control, governance and compliance environment. These steps include increasing the resources and improving the capabilities of the controlling function and the audit function outside the UK, and further developing our integrated risk and assurance reporting processes.We are also enhancing our controls and compliance programme to strengthen awareness of the standards we expect, the capabilities of our people, and to reinforce the importance of doing business in an ethical, disciplined and standardised way. The new CEO and CFO of BT Italy will continue to review the Italian management and finance teams and work with BT Group Ethics and Compliance to improve the governance, compliance and financial safeguards. Going forward, we will also continue to rotate senior management among countries to ensure an independently governed and rigorously controlled organisation throughout all parts of Global Services. On 26 March 2017, Ofcom published the findings of its investigation into the historical use of ‘Deemed Consent’ by Openreach. Deemed Consent is an agreed process between Openreach and its communications provider (CP) customers, which allows Openreach to halt the installation and reschedule the delivery date for providing dedicated business services (known as Ethernet) in a number of specific circumstances which are beyond its control. Ofcom found that Openreach had breached its contractual and regulatory obligations by inadequately and retrospectively applying Deemed Consent to reduce compensation payments to CPs between January 2013 and December 2014. As a result of the findings, Openreach has agreed to compensate CPs and Ofcom has imposed a fine of £42m, reflecting the seriousness of the failings. This includes a 30 per cent maximum discount for BT admitting its liabilities and agreeing to compensate the affected CPs in full. The precise amount of these compensation payments will result from discussions with the affected parties and is currently estimated at £300m. The fine and associated compensation payments are treated as a specific item charge in this year’s income statement, with the cash expected to be paid in 2017/18. We take this matter very seriously and we’ve put in place additional controls to safeguard against this happening again and to make sure that we’re providing the highest standards in serving our customers. The weakening of sterling has continued to impact our financial results, causing volatility in revenue and cost but with minimal EBITDA impact. In addition, following the result of the EU referendum and the formal notice of the UK’s intention to leave the EU, there remains significant uncertainty around the nature of the UK’s future trading relationship with the EU and globally. We continue to monitor the longer term impact of the UK’s decision to exit the EU. On the recommendation of the Audit & Risk Committee, the Board has initiated a tender process for the group statutory audit with a view to appointing new auditors for 2018/19. We expect the audit tender process to be completed by the time of the Annual General Meeting (AGM) in July, to enable an effective transition by the selected audit firm during 2017/18. A resolution proposing the appointment of the successful firm will be put to shareholders at the 2018 AGM. In March 2015 Ofcom announced it would carry out a strategic review of the digital communications industry, looking at ways to improve investment, innovation and competition across fixed-line, broadband and mobile markets. the Openreach CEO will report into the Openreach chairman, with accountability to the BT Group, as the CEO of a wholly owned subsidiary. This includes accountability to the BT Group chief executive with regards to certain legal and fiduciary duties that are consistent with BT’s responsibilities as a listed company. The agreement is intended to be comprehensive and enduring. It will provide BT and other companies with greater regulatory certainty and clarity which is vital for investment. This will help the UK retain its position as a leading digital economy, with the largest superfast network among major European nations. a requirement on Openreach to provide access to its fibre network for providers of high speed services to businesses (‘dark fibre’) from 1 October 2017. In November 2016, Ofcom published its final determination on disputes relating to historical pricing of Special Fault Investigation (SFI) and Time Related Charges (TRCs). Ofcom found that certain prices between 1 January 2009 and 30 June 2014 were not cost oriented and that we should therefore make repayments of low tens of millions to the disputing parties. We have provided for these expected refunds. Also in November 2016, the Competition Appeal Tribunal handed down judgment dismissing our appeal against Ofcom’s November 2015 determination on Average Porting Conveyance Charges (APCCs). Ofcom’s November 2016 spectrum auction consultation document proposes that 190MHz of mobile spectrum in the 2.3GHz and 3.4GHz bands be auctioned as early as summer 2017. Ofcom proposes to apply a cap, of 255MHz, on “immediately useable” spectrum that any one operator can buy. As a consequence of this proposed cap, BT/EE would not be able to bid for the 40MHz spectrum in the 2.3GHz band but would be able to bid for the remaining 150MHz of spectrum to be sold in the 3.4GHz band. Ofcom is expected to issue their statement in the coming months. In December 2016 Ofcom issued a consultation setting out proposals for how the Narrowband markets should be regulated during the three years from 1 October 2017 to 30 September 2020, including proposals to remove formal charge controls on some markets. We responded to these proposals in March 2017 and we expect Ofcom to issue their final statement later in 2017. On 28 February 2017, Ofcom proposed plans to cut BT’s line rental by at least £5 a month for BT customers that only have a landline.We estimate we have a declining base of around 2m residential lines included within the scope of the consultation. We have responded to Ofcom’s proposals as part of the consultation process. removal of the formal margin squeeze test on high speed superfast broadband products. Ofcom has also proposed to revise the existing charge control on the price of Openreach’s copper MPF line rental service. We are considering Ofcom’s proposals and will respond in the first quarter of 2017/18.We expect Ofcom to issue a final statement containing its proposals in early 2018, with those proposals to take effect from April 2018, and remain in place until March 2021. On 20 April 2017 Ofcom published their second consultation covering proposals for new duct and pole access remedies. Ofcom intend these to support new fibre investment and provide a choice of network providers. The consultation focuses on defining changes to the products, and also indicates Ofcom’s intention to set a cap on duct and pole prices, on which they intend to consult in the summer. We will respond to Ofcom’s proposals in June. Ofcom’s proposals, if confirmed, would take effect from 1 April 2018 and Openreach would be required to issue a new product offering within 12 months. 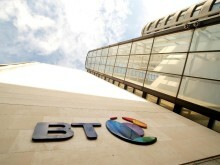 On 20 December 2012, Ofcom made determinations resolving disputes between BT and five CPs (C&W Worldwide, Sky, TalkTalk, Virgin Media, and Verizon) concerning BT’s charges for certain Ethernet services. The Determinations found that BT had overcharged C&W Worldwide, Sky, TalkTalk, Virgin Media, and Verizon for certain Ethernet services for varying periods from April 2006 to March 2011. All parties appealed the determinations to the Competition Appeal Tribunal (CAT), which largely confirmed Ofcom’s assessment of overcharging, and ordered BT to pay interest on the amounts overcharged. BT and TalkTalk appealed the CAT’s judgment to the Court of Appeal, and the hearing took place in March 2017. On 4 May 2017, the Court of Appeal handed down its judgment, dismissing TalkTalk’s appeal that Ofcom should have used a different cost standard in assessing cost orientation, which would have resulted in higher repayments to CPs. The Court of Appeal also dismissed BT’s appeal (which would have reduced the repayments). This confirmed our view that no additional amounts were payable in relation to TalkTalk’s appeal. Both BT and TalkTalk may appeal the Court of Appeal judgment to the Supreme Court. We expect a c.£120m impact on Openreach revenue and EBITDA from regulation. This includes a headwind from an MPF price cut, another year of BCMR price reductions and, from October, the introduction of ‘dark fibre’ access. Separately, we estimate that Openreach will face an additional headwind of around £60m from higher business rates which will not be immediately recoverable through regulated prices, as the current charge controls do not reflect this increase. Lastly, we expect the impact of EU roaming regulation on group revenue and EBITDA in 2017/18 will be in the mid-tens of millions of pounds. For 2017/18, we continue to expect underlying revenue excluding transit to be broadly flat year on year. Adjusted EBITDA is expected to be £7.5bn - £7.6bn. Our outlook for normalised free cash flow over the cumulative two year period 2016/17 and 2017/18 remains broadly unchanged. However, normalised free cash flow in 2016/17 of £2,782m was almost £300m above our outlook of around £2.5bn, due to early customer collections that will reverse in 2017/18. As such, normalised free cash flow in 2017/18 is now expected to be £2.7bn - £2.9bn, from £3.0bn - £3.2bn previously. This outlook is provided on the basis of our existing investment plans. However, we continue to evaluate a range of additional investment opportunities. Our decision on whether to move forward with these will be affected by a number of factors, including the outcome of Ofcom’s Wholesale Local Access Market Review, responses to Openreach’s consultations and the results of any future spectrum auctions. The Board is proposing a final dividend of 10.55p, up 10%, giving a full year dividend of 15.40p, up 10%. Subject to shareholder approval, this will be paid on 4 September 2017 to shareholders on the register at 11 August 2017. The ex-dividend date is 10 August 2017. The final dividend, amounting to approximately £1,050m (2015/16: £956m), will be recognised as an appropriation of retained earnings in the quarter to 30 September 2017. Our underlying dividend policy remains unchanged: to deliver progressive dividends while balancing the need to invest in the business, support the pension fund and maintain a strong balance sheet. The Board has concluded that a dividend increase of 10% in 2016/17 remains appropriate. However, given the importance of maintaining flexibility for additional investment and the range of potential outcomes, dividend growth in 2017/18 will be lower than the 10% previously anticipated. The rate of future dividend growth will reflect a number of factors, including underlying medium term earnings growth, the level of investment spending and other cash commitments. The Board believes that this dividend policy appropriately balances the interests of all stakeholders and provides a solid foundation for future growth, underpinned by an ongoing commitment to investment that delivers sustainable long-term value for customers and shareholders. We expect to buy back around £100m of shares in 2017/18 to help counteract the dilutive effect of all-employee share option plans maturing in the year. This is below the £206m buyback we completed in 2016/17 reflecting the lower number of shares that are expected to be required for our share option plans. The group’s principal risks and uncertainties are disclosed in Note 7 of the Q4 16/17 results release. Note: The comparative information of the current period results has been revised to reflect the outcome of the investigation into our Italian business. These results also include EE which we acquired on 29 January 2016. Unless referred to as underlying adjusted for the acquisition of EE, the comparatives only include EE from the date of acquisition. Reported revenue was £6,122m, up 10%, mainly as a result of the contribution of EE and foreign exchange. Adjusted2 revenue was £6,128m, up 9%. This includes a £132m favourable impact from foreign exchange movements and a £32m reduction in transit revenue. Underlying revenue1 excluding transit adjusted for the acquisition of EE was down 0.9%. Reported operating costs of £5,484m were up 21% due mainly to EE and foreign exchange. Adjusted2 operating costs3 of £4,059m were up 12%. This includes £112m adverse impact from foreign exchange movements and a £31m decrease in transit costs. Underlying operating costs1,3 excluding transit adjusted for the acquisition of EE were up 1%. Net labour costs of £1,150m were up 6%, reflecting the additional EE employees that have joined the group and our investment in service in Consumer and Openreach. Property and energy costs were up 3%, network operating and IT costs up 42% and payments to telecommunications operators up 1%, driven primarily by EE. BT Sport programme rights charges were £187m, up £26m mainly as a result of the new Premier League rights contract. Other costs were up £263m or 21%, reflecting EE. Reported profit before tax was down 48% at £440m. Adjusted1 profit before tax decreased 6% to £1,031m. The effective tax rate on profit before specific items was 18.6% (Q4 2015/16: 15.8%). Adjusted2 EBITDA of £2,069m was up 2%. Underlying EBITDA1 adjusted for the acquisition of EE was down 4.6% mainly as a result of UK public sector decline and our investment in improving customer experience. Depreciation and amortisation of £891m was up 13% largely due to the impact of EE. Reported net finance expense was £196m while adjusted2 net finance expense was £145m. Reported EPS was 3.8p, down 49%. Adjusted1 EPS of 8.4p was down 13%. These are based on a weighted average number of shares in issue of 9,945m (Q4 2015/16: 9,457m), up 5%, mainly reflecting the additional shares we issued as part of our acquisition of EE. We incurred £15m (Q4 2015/16: £nil) of specific costs in undertaking our investigation into our Italian business. Deemed Consent - A charge of £342m was recognised in the quarter (Q4 2015/16: £nil)following Ofcom’s March 2017 finding in relation to its investigation into historical Deemed Consent practices. This represents a fine of £42m and an estimate of £300m for amounts we will compensate Communication Providers. The precise amount of these compensation payments will be determined from discussions with the affected parties. We expect to pay these amounts in 2017/18. Re-assessment of other regulatory provisions - We’ve reassessed our regulatory risk position in relation to other historical matters, and have increased our net provision by £58m (Q4 2015/16: £nil) in the quarter. We recognised £2m (Q4 2015/16: £nil) in the quarter as a true up to the out of period irrecoverable VAT charge we took in Q3. During the quarter, we incurred £123m (Q4 2015/16: £93m) of acquisition and integration related costs for EE. Included within this amount was £62m of specific depreciation and amortisation relating to the write-off of IT assets as we integrate BT and EE IT infrastructures. During the quarter, we incurred £51m (Q4 2015/16: £55m) of interest cost in relation to our defined benefit pension obligations. Property rationalisation costs – In Q4 2015/16 we recognised £29m of charge in relation to the rationalisation of the group’s property portfolio. EE fair value adjustment – In Q4 2015/16, we recognised a fair value adjustment on the acquisition of EE which reduced the amount of deferred income in relation to its prepaid subscriber base by £70m. This amount was released as a reduction to revenue in the period between acquisition and 31 March 2016, reflecting the period over which EE provided the related service. A tax credit of £132m (Q4 2015/16: £36m) was recognised in relation to specific items and the re-measurement of deferred tax. Capital expenditure was £1,022m (Q4 2015/16: £760m). This consists of gross expenditure of £943m (Q4 2015/16: £741m) which has been increased by net grant deferral of £79m (Q4 2015/16: £19m) mainly relating to our activity on the Broadband Delivery UK (BDUK) programme. Our base-case assumption for take-up in BDUK areas has been increased to 39% following our review of the level of customer take-up. Under the terms of the BDUK programme, we have a potential obligation to either re-invest or repay grant funding depending on factors including the level of customer take-up achieved. While we have recognised gross grant funding of £41m (Q4 2015/16: £60m) in line with network build in the quarter, we have also deferred £120m (Q4 2015/16: £79m) of the total grant funding to reflect higher take-up levels on a number of contracts. To date we have deferred £446m (Q4 2015/16: £258m). Net cash inflow from operating activities was down £337m at £1,591m. Normalised free cash flow1 was down £685m at £834m. The decrease primarily reflects the impact of cash outflows in our Italian business as we unwound the full effect of the inappropriate working capital practices we identified at Q3, and higher capital expenditure in relation to the Emergency Services Network (ESN) and the integration of EE. The net cash cost of specific items was £59m (Q4 2015/16: £132m). This includes EE integration cost payments of £21m (Q4 2015/16: £86m EE acquisition-related cost payments). After specific items and a £11m (Q4 2015/16: £44m) cash tax benefit from pension deficit payments, free cash flow was an inflow of £786m (Q4 2015/16: £1,431m). Net debt was £8,932m at 31 March 2017, £906m lower than at 31 March 2016. The decrease in the year reflects free cash flow of £2.7bn, proceeds of £70m from the exercise of employee share options offset by dividends paid of £1.4bn, £206m for the buyback of c.47m shares and £274m of pension deficit payments. At 31 March 2017 the group held cash and current investment balances of £2.0bn. During the year to 31 March 2017 we repaid term debt of £1.8bn. Short term borrowings include term debt of £1.4bn repayable in 2017/18 and £0.7bn for the outstanding portion of our overdraft and collateral for open mark-to-market positions. Our £2.1bn committed credit facility, which matures in September 2021, remains undrawn as at 31 March 2017. A £1.5bn revolving committed credit facility was signed on 15 March 2017. This facility provides BT with a bridge to capital market issuance for 364 days with extension options to March 2019. The bridge facility contains mandatory prepayment and cancellation clauses in certain circumstances, such as the issuance of public debt securities. This facility was undrawn at 31 March 2017. The IAS 19 net pension position at 31 March 2017 was a deficit of £7.6bn net of tax (£9.1bn gross of tax), compared with £5.2bn net of tax (£6.4bn gross of tax) at 31 March 2016. The increase is predominantly due to the fall in the real IAS 19 discount rate. Based on the position at 31 March 2017, the 2017/18 operating charge is expected to increase by around £100m year on year, impacting EBITDA, primarily reflecting the decline in market conditions, our re-assessment of the demographic assumptions and the impact of membership experience adjustments. The higher deficit will also lead to an increase in the pension interest expense within specific items to c.£220m in 2017/18 from £209m this year. Reported revenue was £24,062m, up 27%, mainly as a result of the contribution of EE and foreign exchange. Adjusted2 revenue was £24,082m, up 28%. This includes a £522m favourable impact from foreign exchange movements and a £64m reduction in transit revenue. Underlying revenue1 excluding transit adjusted for the acquisition of EE was down 0.2% in line with our revised outlook of broadly flat. Reported operating costs of £20,895m were up 36%, due mainly to EE and foreign exchange. Adjusted3 operating costs were £16,437m, up 32%. This includes £469m adverse impact from foreign exchange movements and a £61m reduction in transit costs. Underlying operating costs2,3 excluding transit adjusted for the acquisition of EE were up 1%. Net labour costs of £4,775m were up 13%, reflecting the additional EE employees that have joined the group. Property and energy costs were up 17%, network operating and IT costs up 53% and payments to telecommunications operators up 22%, all primarily driven by EE. BT Sport programme rights charges were £714m, up £170m mainly as a result of additional UEFA rights costs and the new Premier League rights contract. Other costs of £6,110m were up 61%, reflecting EE. Reported profit before tax was £2,354m, down 19%. Adjusted2 profit before tax increased 5% to £3,532m. The effective tax rate on profit before specific items was 18.8% (2015/16: 18.1%). Adjusted2 EBITDA of £7,645m was up 18% in line with our revised outlook of around £7.6bn. Underlying EBITDA2 adjusted for the acquisition of EE was down 2.9% mainly as a result of the UK public sector and our investment in improving customer experience. Depreciation and amortisation of £3,510m was up 33% largely due to the impact of EE. Reported net finance expense was £804m while adjusted1 net finance expense was £594m, up £111m primarily due to higher net debt as a result of our acquisition of EE. Reported EPS was 19.2p, down 33%. Adjusted2 EPS of 28.9p was down 9%. These are based on a weighted average number of shares in issue of 9,938m (2015/16: 8,619m), up 15%, mainly reflecting the additional shares we issued as part of our acquisition of EE on 29 January 2016. We’ve recognised costs of £260m (2015/16: £nil) reflecting the £245m impact arising from current year changes in accounting estimates with respect to the value of the assets and liabilities of our Italian business held at 31 March 2016 and £15m of costs associated with the investigation. We’ve recognised £479m (2015/16: £nil) of net regulatory risk costs. These relate to Deemed Consent of £342m and the re-assessment of other regulatory provisions of £137m. Re-assessment of other regulatory provisions – We’ve assessed the other regulatory risk provisions following Ofcom’s publication of its final statement on its Business Connectivity Review, Leased Lines Charges Control and Cost Attribution Review in April 2016 and its final determination on disputes in relation to the Special Fault Investigation and Time Related Charges in November 2016, together with a review of our regulatory risk position in relation to other historical matters. Ladder settlement – During the year we recognised £8m (2015/16: £203m) of both transit revenue and costs, with no EBITDA impact, being the effect of ladder pricing agreements relating to previous years. We recognised £30m (2015/16: £nil) for the year in relation to out of period irrecoverable VAT. During the year, we incurred £215m (2015/16: £116m) of acquisition and integration related costs for EE. A profit on disposal of a business was recognised of £16m (2015/16: £nil). During the year, we incurred £210m (2015/16: £221m) of interest cost in relation to our defined benefit pension obligations and the out of period irrecoverable VAT claim. Property rationalisation costs - In 2015/16 we recognised a charge of £29m in relation to the rationalisation of the group’s property portfolio. EE fair value adjustment - In 2015/16, we recognised a fair value adjustment on the acquisition of EE which reduced the amount of deferred income in relation to its prepaid subscriber base by £70m. This amount was released as a reduction to revenue in the period between acquisition and 31 March 2016, reflecting the period over which EE provided the related service. Net interest expense – In 2015/16 we recognised £8m of interest expense in relation to our acquisition of EE. A tax credit of £217m (2015/16: £166m) was recognised in relation to specific items and the re-measurement of deferred tax. Capital expenditure was £3,454m (2015/16: £2,622m). This consists of gross expenditure of £3,426m (2015/16: £2,731m) which has been increased by net grant deferral of £28m (2015/16: £109m decreased by net grant funding) mainly relating to deferral of grant funding on the BDUK programme. Our base-case assumption for take-up in BDUK areas has been increased to 39% following our review of the level of customer take-up. Under the terms of the BDUK programme, we have a potential obligation to either re-invest or repay grant funding depending on factors including the level of customer take-up achieved. While we have recognised gross grant funding of £160m (2015/16: £338m) in line with network build in the year, we have also deferred £188m (2015/16: £229m) of the total grant funding to reflect higher take-up levels on a number of contracts. To date we have deferred £446m (Q4 2015/16: £258m) of grant funding. Net cash inflow from operating activities was up £1,023m at £6,174m. Normalised free cash flow1 was £2,782m, above our revised outlook due to early customer collections that we will now not receive next year. Normalised free cash flow1 was down £316m compared with prior year primarily due to the impact of the cash outflows in our Italian business as we unwound the full effects of inappropriate working capital practices, as well as higher capital expenditure relating to the ESN contract and EE integration, partially offset by the benefit of an additional 10 months of EE. The net cash cost of specific items was £205m (2015/16: £232m). This includes EE integration cost payments of £72m (2015/16: £114m EE acquisition-related cost payments). After specific items and a £110m (2015/16: £203m) cash tax benefit from pension deficit payments, free cash flow was an inflow of £2,687m (2015/16: £3,069m). Revenue for the quarter was up 4% with a 7% increase in broadband and TV revenue and a 2% increase in calls and lines. For the year, revenue was up 7%. Consumer 12-month rolling ARPU increased 8% to £39.9 per month driven by broadband, BT Sport and mobile. We’ve also seen growth of 3% in the number of revenue generating units per customer2 , which is now at 1.95. Across BT we added 29,000 retail broadband customers this quarter, representing 35% of the DSL and fibre broadband market net additions. Superfast fibre broadband growth continued with 211,000 retail net additions, taking our customer base to 4.9m. Of our broadband customers, 53% are now on fibre. Our BT Smart Hub, with market-leading wi-fi, is now in more than 1m homes. Across BT we added 11,000 TV customers, growing our total TV base to 1.7m. We’re rolling out our new User Interface, which is now in 1.3m homes, and has won awards from TV Connect and Mediatel for ‘best TV discovery service’ and ‘best contribution to TV user experience’, amongst others. In the first half of 2017/18 we are transitioning all customers on our legacy Vision TV platform to YouView. We expect this to adversely impact our net additions as some customers may choose to cease service rather than move platform, and our decision to increase prices for Sport may also have an impact in the future. BT Sport’s average annual audience figures increased 12% excluding the Showcase and digital channels. In the quarter we announced that BT Sport will remain the exclusive UK home of all UEFA Champions League and UEFA Europa League football for a further three years until the end of the 2020/21 season. From 2018/19 our UEFA Champions League coverage will be stronger with more games between the top European teams and double header nights with matches kicking off at both 6pm and 8pm during the group stage. As part of our commitment to improve customer experience we have added around 1,100 new UK and Ireland customer service roles in the quarter and are now answering 86% of our customers’ calls in the UK and Ireland, up from 55% at the start of 2017. Our new nuisance calls prevention product, BT Call Protect, has proved popular with over 2m customers now taking the service. Our digital strategy is progressing well with continued roll out of our My BT app. And over 4,000 agents are now using our new customer service system Consumer.com, providing a more seamless customer experience, saving over 10,000 calls per week. Finally, BT’s superfast broadband products performed strongly in the annual Ofcom speed report, which found that BT had the smallest gap between headline speeds and peak time speeds of any broadband provider. Operating costs increased 12% due to the investment in new UK and Ireland customer service roles, our new Premier League rights contract, and our investment in mobile handsets. As a result EBITDA was down 18% in the quarter and 4% for the year. We are committed to improving customer experience, and you’ll see us continuing to invest this year. Depreciation and amortisation was up 8% and operating profit was down 23% for the quarter. Capital expenditure was up 36% and operating cash flow increased 1%. For the year capital expenditure was up 14% and operating cash flow down 9%. Revenue for the quarter was £1,259m, reflecting postpaid mobile revenue of £1,035m, prepaid mobile revenue of £93m, fixed broadband revenue of £74m and equipment sales of £57m. Underlying revenue2 adjusted for the acquisition of EE was up 3%, the second consecutive quarter of growth, mainly due to additional revenue from our ‘more for more’ pricing strategy. Without the £20m impact of regulation underlying revenue2 adjusted for the acquisition of EE was up 4%. For the year, underlying revenue2 adjusted for the acquisition of EE was up 1%, or 3% excluding the £110m impact of regulation. At the end of the quarter the total BT mobile base was 30.0m. We added 192,000 postpaid mobile customers, taking the postpaid base to 16.9m. Group postpaid churn was 1.1% reflecting the high level of customer loyalty. Our prepaid customers fell by 388,000, in line with industry trends, taking the base to 6.9m. Our 4G customer base reached 18.6m. Monthly mobile ARPU was £26.3 for postpaid customers and £4.4 for prepaid customers across the group. Our solution for the Emergency Services Network (ESN) remains on schedule. We continue to work towards our rollout of 4G geographic coverage to 92% of the UK by September 2017 and 95% by the end of December 2020. Our 4G coverage now reaches 80% of the UK’s landmass (99% 4G population coverage), the largest of any UK operator. EE continues to be recognised as the UK’s leading mobile network in independent surveys, with the latest RootMetrics survey naming EE as the leading mobile network for the seventh consecutive time. In February, we demonstrated 4G balloons and drone ‘air masts’, showing how the attached mini mobile sites can provide temporary wide area 4G coverage in a location where permanent sites have been damaged or there’s no 4G coverage, for example, music festivals and sporting events. Improving customer experience continues to be a key priority. EE is now achieving its highest ever levels of customer satisfaction after answering 100% of contact centre calls in the UK and Ireland last quarter, as well as continued growth and development of digital service channels including chat and the My EE app, which now has 9m users. Operating costs were £943m in the quarter, resulting in EBITDA of £316m. Underlying EBITDA2 adjusted for the acquisition of EE was up 27%, driven by lower customer investment, partially due to different handset launch phasing compared with the prior year, and revenue growth in the quarter. Falling contact centre call volumes and reduced legacy brand fees also contributed. For the year underlying EBITDA2 adjusted for the acquisition of EE was up 6%. In the quarter, depreciation and amortisation was £181m and operating profit was £135m. Capital expenditure was £164m in the quarter. Adjusted for the acquisition of EE3 , capital expenditure was up 24% as ESN investment increased, and up 22% for the year. Operating cash flow was £107m for the quarter and £570m for the full year. Revenue was down 2% for the quarter and up 11% for the year, due to the acquisition of EE. Underlying revenue2 excluding transit adjusted for the acquisition of EE was down 6% for the quarter and year, reflecting decline in the public sector business. SME revenue was up 12% in the quarter, reflecting the timing of the EE acquisition during Q4 last year, as well as growth in mobile as a result of a strong cross-selling performance. SME revenue also benefitted from an increase in revenue from IP lines, partly offset by a decline in traditional switch revenue. Corporate revenue was flat in the quarter, benefitting from the timing of the EE acquisition during Q4 last year, offset by a reduction in equipment sales. Public Sector and Major Business revenue was down 14% for the quarter, with the inclusion of EE revenue more than offset by the decline in public sector revenue. Public sector still faces challenges as we have a small number of large contracts coming to an end in 2017/18. Foreign exchange movements had an £11m positive impact on Republic of Ireland revenue, where underlying revenue2 excluding transit was down 2% for the quarter. Order intake was up 18% to £1.0bn in the quarter with the inclusion of EE orders offsetting the public sector decline. On a rolling 12-month basis order intake was up 7% to £3.4bn. Deals signed in the quarter include a multi-year deal with PayPal to deliver Global SIP and WAN services and a multi-year global managed network services contract with Primark connecting all of the retailer’s stores, offices and distribution centres. We’ve also signed a deal with the Metropolitan Police worth around £100m to deliver high-speed fixed and wireless networks, together with a range of cloud and IT services, to help underpin their technology transformation programme. Operating costs increased 5% in the quarter as a result of EE. EBITDA was down 14% for the quarter and up 8% for the year. Underlying EBITDA2 adjusted for the acquisition of EE was down 19% in the quarter and down 10% for the year, reflecting the revenue decline in public sector. Depreciation and amortisation was down £3m in the quarter and operating profit declined 17%. Capital expenditure was up £42m for the quarter and £122m for the year. Adjusted for the acquisition of EE3 , this was up £38m for the quarter and £81m for the year due to higher customer contract spend. Operating cash flow was £14m lower in the quarter reflecting the EBITDA decline offset by the timing of working capital movements. For the year operating cash flow was £1,293m. Revenue for the quarter was up 4% including a £121m positive impact from foreign exchange movements whilst transit revenue was down £21m. Underlying revenue2 excluding transit adjusted for the acquisition of EE was down 4%, and excluding the revenue of our Italian business was flat. For the year, revenue was up 8% including a £470m positive impact from foreign exchange movements and a £17m decline in transit revenue. Underlying revenue2 excluding transit adjusted for the acquisition of EE was down 2%, and excluding the revenue of our Italian business this was flat. In the UK underlying revenue2 excluding transit adjusted for the acquisition of EE was up 1%. In Continental Europe underlying revenue2 excluding transit was down 9%, due to weak trading in Italy. Excluding the revenue of our Italian business it was up 5%. In the Americas3 underlying revenue2 was down 5% mainly due to the ongoing impact of a major customer insourcing services. In AMEA4 underlying revenue2 was down 4%, reflecting lower equipment sales and the move to centralised billing meaning revenue from two major customers is now recognised in Continental Europe. Our total order intake was £0.9bn in the quarter, down 28% and on a rolling 12-month basis was £4.6bn, down 10% year on year, reflecting challenging international corporate market conditions. We’re also seeing a trend towards smaller average order size. We signed a contract with Bridgestone for network and managed cloud services at more than 200 locations in Europe, the Middle East and Africa. We renewed our contract with HeidelbergCement to connect 800 locations throughout Europe and Africa. In the US, we signed a contract with Travel Leaders Group for voice, customer contact centre and network services at 20 locations. We announced the integration of Symantec’s latest technology into our security portfolio, bringing to our customers enhanced visibility of incoming internet traffic and simplified administration of network security. We also announced a new partnership agreement that enables T-Systems to offer their customers the option of using a range of our network services to connect their operations all around the world. Operating costs for the quarter were up 3%, reflecting the impact of foreign exchange movements. Underlying operating costs2 excluding transit adjusted for the acquisition of EE were down 5% for the quarter. The fourth quarter results benefitted from a true up of approximately £25m of the annual bonus accrual in light of the financial performance for the year. EBITDA was up 10% for the quarter and up 3% for the year. Underlying EBITDA2 adjusted for the acquisition of EE was down 1% in the quarter and down 11% for the year. Excluding the results of our Italian business this was up 1% for the quarter and for the year. Depreciation and amortisation was down 6% in the quarter due to the timing of recognition on certain contracts. Operating profit was £96m. Capital expenditure was up 9% for the quarter and up 2% for the year primarily due to the impact of foreign exchange movements. Operating cash was an inflow of £95m for the quarter, £277m lower than prior year and an outflow for the year of £245m as we have unwound the full effects of improper working capital transactions in our Italian business. However, operating cash flow was ahead of our expectations due to early customer collections that we will now not receive next year. Revenue for the quarter was broadly flat. Underlying revenue2 excluding transit adjusted for the acquisition of EE was also flat. This was an improvement on the third quarter reflecting a strong quarter for Ventures. For the full year revenue declined 7%, with underlying revenue2 excluding transit down 3% reflecting decline in our traditional calls and lines revenue. Managed Services revenue was down 11% in the quarter. This was an improvement on the previous quarter’s growth rate reflecting the timing of the EE acquisition during Q4 last year, as contracts with EE are no longer recognised given the acquisition and integration of EE within the group. Data and Broadband revenue was down 4% in the quarter reflecting the continuing decline in high margin Partial Private Circuits, which we expect to increase as a headwind in 2017/18. While we are seeing good growth in fibre broadband, the market remains competitive and we continue to see the migration of broadband lines to Local Loop Unbundling (LLU). Ethernet delivered another good quarter with a 14% increase in the rental base year on year to 43,800 circuits. Whilst there is strong demand, the market remains competitive with continued pressure on pricing. Voice revenue was down 7% as last year benefitted from EE revenue which is no longer recognised. There was ongoing decline in call volumes as customers continue to migrate to newer technologies, but this was partially offset by growth in Hosted Communications. Mobile generated revenue of £57m, broadly in line with previous quarters, with most of this coming from EE’s MVNO business. We continue to develop our Ventures businesses which generated revenue of £84m in the quarter. This strong performance was helped by growth in Fleet and the timing of new phonebook issues. Order intake of £342m was down 15% in the quarter but was up 38% to £1,956m for the year, benefitting from the five-year Virgin Media deal we re-signed in Q3. In the quarter we signed a 5-year deal with Claranet for Ethernet and Hosted Communications, and a new 5-year deal on rapid response vehicles in Fleet to help mobile operators quickly address any network outages. Operating costs decreased 3% and EBITDA increased 3% in the quarter. Underlying EBITDA2 adjusted for the acquisition of EE was down 2%. For the year, EBITDA was up 10% with underlying EBITDA2 adjusted for the acquisition of EE down 6%. In Q1 2017/18 we expect a larger than usual seasonal decline in EBITDA compared with Q4, reflecting timing on some of our major Wholesale contracts. For the quarter, depreciation and amortisation increased 18% and operating profit decreased 3%. Capital expenditure was up 31% in the quarter due to increased investment in Fleet vehicles to support Openreach. For the year, capital expenditure was up 8%. Operating cash flow was £147m for the quarter and £587m for the year. Revenue was broadly flat in the quarter and year. Regulatory price reductions had a negative impact of around £60m, or 5%, of revenue in the quarter and around £230m, or 5%, in the year. The impact of regulation in the quarter was offset by 39% growth in fibre broadband revenue. We continue to extend the reach of fibre broadband, through both our commercial investments and the BDUK programmes, as we work towards improving speeds universally. We’ve passed over 200,000 properties in the quarter and 1.1m in the year, which means our fibre broadband network is now available to more than 26.5m premises. The UK broadband market2 grew by 82,000 connections to 20.4m. We had a record quarter for fibre broadband with 520,000 net connections, taking the number of homes and businesses connected to our fibre broadband network to 7.7m, or 29% of those passed. Service providers other than BT added a record 309,000 or 59% of the total net connections, demonstrating the continued market-wide demand for fibre. The physical line base, which can be volatile, reduced by nearly 103,000 in the quarter and 153,000 for the year. During the quarter we connected our first G.fast customers in Gillingham and Cherry Hinton and extended our G.fast pilot footprint across 17 sites. We continue to expand our FTTP network, employing new techniques which have made the build faster and more efficient. This work, combined with our G.fast deployments, means we can now offer ultrafast broadband services to more than 500,000 homes and businesses across the country. Customer service remains our number one priority. We are fixing faults and providing new lines more quickly than during the same period last year and we’ve more than halved the number of missed appointments we’re responsible for this quarter year on year. We exceeded all 40 of Ofcom’s copper minimum service levels that were due in the year and we remain ahead on the other 20 which are measured to March 2018, but we are disappointed that we have narrowly missed one of the six Ethernet minimum service level measures set by Ofcom. Operating costs were broadly flat in the quarter, mainly driven by the cost of our focus on customer experience offset by a number of non-recurring items including flood costs in the prior year. EBITDA was broadly flat in the quarter and down 1% in the year. Depreciation and amortisation was up 12% in the quarter due to the timing of completing capital investments. As a result, operating profit was down 11% in the quarter. Capital expenditure was £470m, up £94m or 25%, reflecting the deferral of grant funding. Capital expenditure was after gross grant funding of £40m (Q4 2015/16: £54m) directly related to our activity on the BDUK programme build which was offset by the deferral of £119m of grant funding (Q4 2015/16: £78m). The deferral of grant funding was driven by the increase in our base-case assumption for fibre broadband take-up to 39% in BDUK areas. Under the terms of the BDUK programme we have a potential obligation to either re-invest or repay grant funding depending on factors including the level of customer take-up achieved. The significant increase in grant funding deferral meant that this year net capital expenditure of £1,573m was higher than gross capital expenditure of £1,547m. Operating cash flow was down 26% in the quarter due to customer experience investment and the timing of customer cash receipts, and down 5% for the year.